East Troy native Shanra Kehl wants people to understand the type of cancer their loved ones have and gain the knowledge to research potential treatments. Four months after the death of her mom, Kehl – who now lives in Santa Monica, Calif. – is having a breast cancer charity event Oct. 3 at the Grand Geneva Resort in Lake Geneva to benefit the Triple Negative Breast Cancer Foundation. The golf scramble and Frisbee golf outing is called Teeing for Tatas: In Memory of Patricia J. Kehl. Kehl’s mother, Patricia Biersack Kehl, a rural mail carrier in East Troy for 30 years, died of triple negative breast cancer on May 30 in Florida. While “negative” is usually a good thing when it comes to cancer, in this case it’s not, Kehl said. Triple negative breast cancers are those in which the breast cancer cells test negative for estrogen, progesterone and HER2 receptors, according to breastcancer.org. That means the growth of the cancer cells are not supported by estrogen, progesterone or the chemical Herceptin, therefore the cancer does not respond to hormonal therapies or treatments that target Herceptin, according to breastcancer.org. About 10 to 20 percent of breast cancers are triple negative, according to breastcancer.org. Patricia Kehl was diagnosed with triple negative breast cancer in June 2010, but Shanra Kehl believes if her mom had steered her own treatment six months prior, she might have survived. Six month before the diagnosis, Patricia Kehle had an irregular mammogram, but the irregularity did not alarm her doctor, who advised her to keep a watch on it. Six months later, a check revealed the mass was growing and had spread. When cancer spreads to lymph nodes, it is in Stage 2, and Patricia Kehl’s large East Troy family went in search of treatment. Patricia Kehl underwent 30 rounds of radiation, “then they said she was good to go,” Shanra Kehl said. But 2 ½ years later, Patricia Kehl was rediagnosed and by that time could feel the tumors in the back of her neck, Shanra Kehl said. With the cancer metastasized – spread to other parts of the body – doctors began to treat Patricia Kehl with a drug that is on the market for other types of cancer. The drug worked in the beginning but then stopped being effective, Shanra Kehl said. 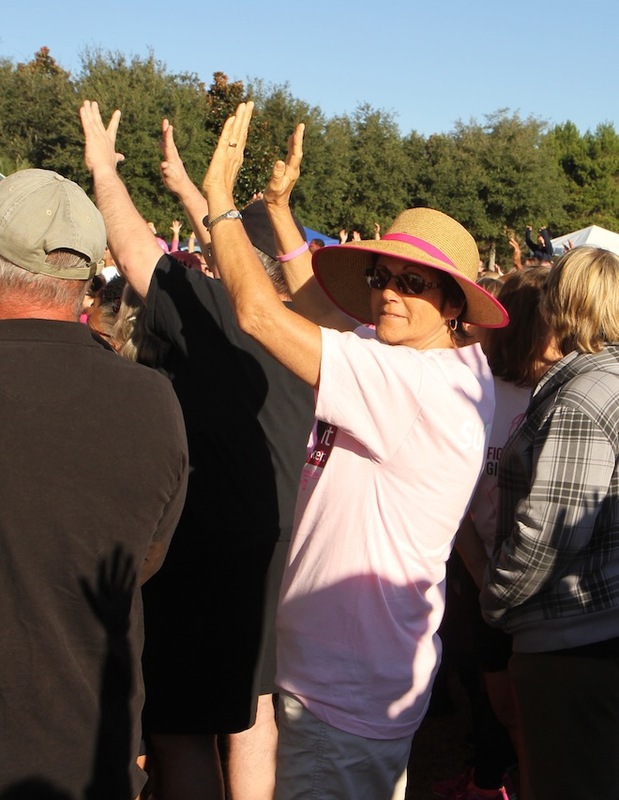 “Each Thanksgiving, she was clear, but metastasized cancer is very aggressive,” she said. Patricia Kehl was referred to the MD Anderson Cancer Center in Houston – one of three original comprehensive cancer centers in the United States. There, Shanra Kehl said, cancer professionals had “amazing bedside manners” but were also very frank. At that point, her cancer was Stage 4 – terminal, and Patricia Kehl went to Florida where she underwent six or seven different types of chemotherapy. “She tried every drug that was possible for this cancer,” Shanra Kehl said. In addition to medical treatments, Patricia Kehl changed her diet and tried a holistic approach. Shanra Kehl said her mom juiced every day, eliminated meat, sugar and alcohol from her diet, ate only organic foods, tried acupuncture and spoke to a holistic counselor. Shanra Kehl organized the charity event during October – cancer awareness month – with multiple goals, one of which is to make people aware that more than one type of breast cancer exists. She said women – and men, who also get breast cancer – need to know the type of cancer they have so they can educate themselves about it. “There’s so many questions you need to ask when you get it,” she said. Kehl also aims to bring the community together with the event. The large Biersack family has deep roots in East Troy and Elkhorn, and Kehl’s aunt, Linda Lee, of Elkhorn, also died of breast cancer this year after being diagnosed 15 years ago. Patricia Kehl was well known as a mail carrier in the community for three decades, and her husband, Dean Kehl, was a contractor in the Lake Geneva area and retired from Elkhorn-based Teronomy Builders before moving to Florida. Shanra Kehl said area businesses have been generous in donating items for the charity event. “Literally almost every single company we’ve approached or knocked on their door has given us something for the event,” she said. The effort to raise money for the Triple Negative Breast Cancer Foundation will begin online Sept. 22 before the Oct. 3 event. The online effort is aimed to reach donors from across the country and people who can’t attend the event at Grand Geneva, Shanra Kehl said. Kehl chose the Triple Negative Breast Cancer Foundation as the benefactor for the benefit because of its specific goal of finding treatment that will work for cancers that don’t respond to hormonal therapies. 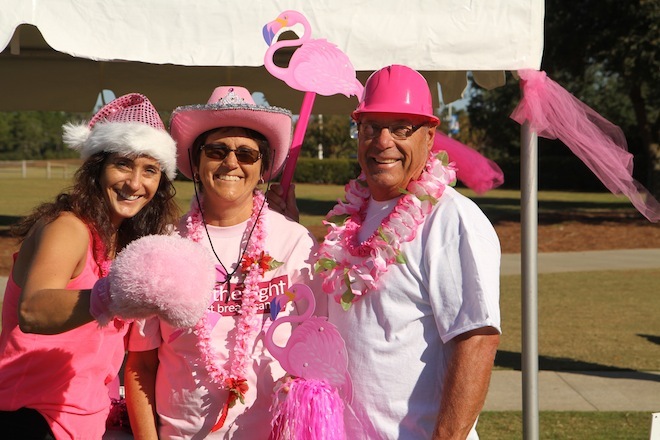 And, unlike larger organizations like Susan G. Komen for the Cure – the Triple Negative Breast Cancer Foundation has three employees. Kehl is confident all of the proceeds will go to their intended use. Check-in on the day of the event will be at 8 a.m. and golf tee time at 9 a.m.
BWO Insurance Group of Elkhorn will sponsor a $10,000 hole-in-one challenge. For people who don’t want to golf, Frisbee golf or a self-guided hike will begin at 10 a.m.
After golf will be a luncheon and the distribution of gifts and prizes. Shandra Kehl said while her mother lived with cancer, she was eager to help others with the disease. Mother and daughter often attended walks during October and handed out necklaces from a line Shandra Kehl created in her mother’s honor. “The whole point of the jewelry line was to inspire women,” she said. Proceeds from the jewelry sales go to the Pink Daisy Project – a Seattle-based organization that provides supplemental income to cancer patients while they’re undergoing treatment. The breast cancer jewelry line can be seen at pj57jewelry.com.